Sandwatch in People's Republic of China has been championed by the UNESCO Bejing Office. In 2015 the Sandwatch training videos were translated into Chinese. Two outdoor environmental education schools have recently expressed interest in incorporating Sandwatch into their environmental activities. 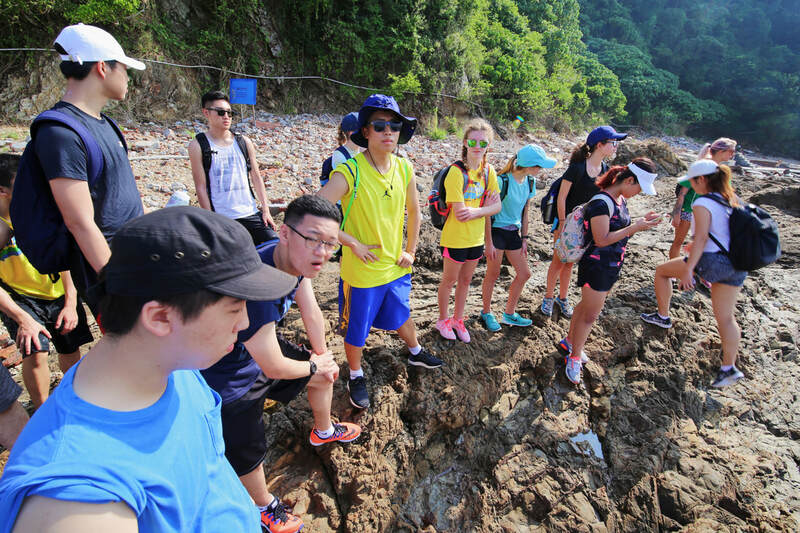 During seven days in September 2017, twenty high school students and two teachers from Concordia International School Shanghai travelled to Xichong Beach on the Dengpeng Peninsula in Guangdong Province in Southern China to participate in Sandwatch beach monitoring. This week-long trip was part of their ‘Transforming Individuals by Education and Service’ (TrIBES) program. (TrIBES is a full-year program providing high school students with experiential learning and challenging leadership opportunities). Students were asked to collect environmental data for the Sandwatch Program and to contribute to an ongoing beach profile that monitors changes to the beach environment, giv--ing students a deeper understanding of crucial environmental changes over time of the world’s beach environments. 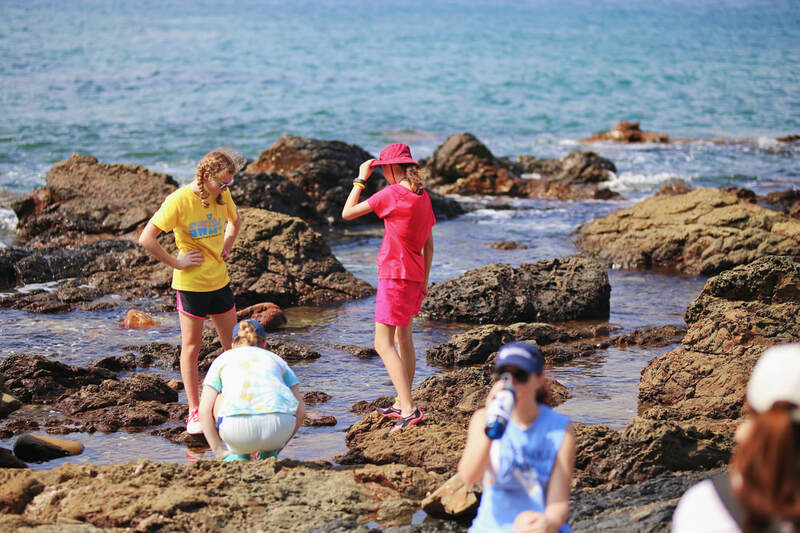 The group was led by leaders from Indier, a Chinese adventure learning company, and spent two days on the beach taking measurements, conducting interviews and exploring the tidepools and intertidal zone of this busy beach near the city of Shenzhen, China. Students described this trip as educational and fascinating and said that it helped to build community among this group of students who care how their actions affect the larger world. Carla Molloy, HS Science Teacher, Concordia International School, Shanghai.